I am a huge fan of this series as it is one of the few shoes that works for the narrow foot. Although the GT-2150 model is ever so slightly wider than the GT-2140, I don’t think this will be a problem for most feet. All in all, the 2100 series remains one of my favorite running shoes and I will continue to recommend it for many of my runners feet. During the past several months, more and more runners and readers have asked for my opinion regarding the increasingly popular barefoot running styles of shoes. What follows are my responses to an interview I recently did with Podiatry Today http://www.podiatrytoday.com/december-2009. Have you seen an increased demand for shoes that simulate barefoot running? Yes. Questions about barefoot running seem to parallel the introduction of new barefoot running shoes into the marketplace. The most common I’ve seen in my practice include NikeFree, Vibram Five Fingers and Newton Running. NikeFree was the first introduced in 2004. At the time, Nike who was sponsoring Stanford’s track team discovered that some of their training had been done barefoot. Stanford’s coach at the time, Vin Lananna felt that barefoot training reduced injuries and improved foot and ankle strength. Seizing an opportunity, NikeFree was developed. 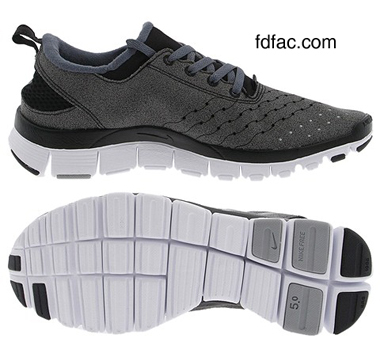 Basically it has a soft, non-supportive cloth upper with a wide, cushioned midsole having deep grooves to enhance flexibility. A little slower to catch on has been Vibram Five Fingers, which were introduced in 2005. Vibram originally designed these to be worn while yachting and was surprised initially that anyone would want to run in them. Once they discovered this however, this shoe with individual toes became mainstream. 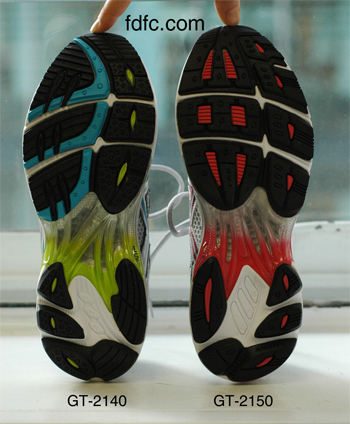 Newton Running was developed in 2007 and is similar to NikeFree in appearance but provides more forefoot cushion. It was designed by Runners and is heavily endorsed by runners. The shoes are expensive and cost between $150-$200. Other than the debut of a new barefoot running type shoes, Christopher McDougall’s recently released book entitled Born to Run, has re-ignited the barefoot running controversy. It chronicles Chris’s introduction, training and subsequent 50-mile treacherous run with the Tarahumara Indians of Mexico’s Copper Canyon. The Tarahumara are a legendary tribe known to run hundreds of miles at a time while only wearing sandals. In it he vilifies running shoe companies, podiatrists, sports medicine specialists and orthotics as the cause of running injuries. Looking below the surface however, I was able to appreciate the book for it’s historical accounting of barefoot running, ultrarunning and Chris’s analysis of running form. I also think it will stimulate conversation and better scientific research into the question is there an optimal running form and is it the same for everyone and every foot type? In regard to shoes that simulate barefoot running, what in your clinical opinion are the biomechanical strengths and weaknesses of these shoes in comparison to conventional running shoes? Barefoot running shoes are designed to promote forefoot contact over heel contact. This does two things. One, it reduces the impact of heel strike, improving shock absorption throughout the midfoot and forefoot. Two, it alters the center of gravity forward with the feet being better centered below the hip, which is a much more stable alignment. My problem with barefoot running shoes isn’t with the biomechanics of the design but rather the concern that runners will see this as the newest fad and train without proper conditioning or assessment. It doesn’t matter whether you are wearing NikeFree 5.0 or Nike Zoom Structure Triax +12. 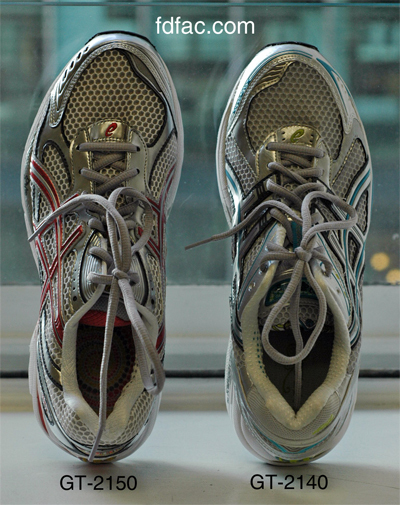 If the running shoe isn’t a match to your foot type and running biomechanics, injuries will occur. I also think in addition to shoes, too many runners have not been adequately coached in proper form. The best running shoe design in the world coupled with poor running form has little chance of benefiting a runner. ChiRunning, Pose Tech Training and Evolution running are all running methods which simulate barefoot running form and are often helpful in reducing or eliminating injury. Are there other considerations Podiatrists should keep in mind when asked for recommendations of these shoes by patients? Are there certain foot types that would prohibit use of these shoes? When asked by patients about barefoot running I say it may have a place in an overall training strategy, but based on most of the patient’s pathology I see coming through the door, few would benefit from this as a primary treatment. In fact I have taken quite a few runners out of these styles of shoes because they caused injury. It amazes me that so many experienced runners (triathletes, marathoners, ultrarunners) who presumably know everything about their running are oftentimes clueless when it comes to their shoes. They are sponsored by a particular shoe company consequently have to wear that company’s shoe and no one has really ever analyzed whether it’s right for them or not. Or, they have run in the same shoe for the past 10 years but never realized that the shoe design has changed so dramatically during a version change, that in spite of the name being the same it’s not the same shoe. In your experience in treating athletes, are there particular brands of these shoes that simulate barefoot running that you have found to be effective? The few patients I have who use these types of shoes as well as readers of my blog find that Vibram Five Fingers are really the only shoe that simulate the true feel and biomechanics of barefoot running. NikeFree and Newton Running seem to be losing ground in the battle of barefoot running shoes. However, I’m sure as time goes on, more and more shoe companies will jump on the barefoot running bandwagon and incorporate even more designs and styles into their manufacturing lines.